Since Apple moved the Mac to the Intel Platform we as Mac users can now run just about any software we want. 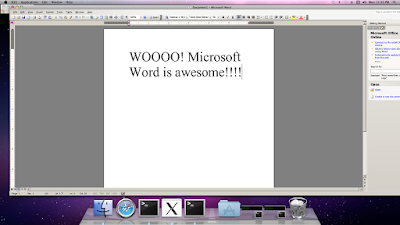 From software for OS X, Unix Programs, even Windows Programs. Let’s see a Windows computer do that quickly and easily. 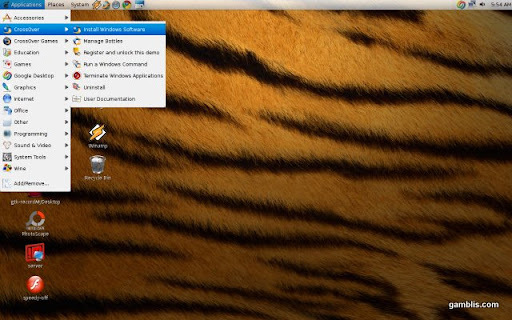 However with these new options comes a number of choices for how to run Windows software on the Mac. We have a range a prices and easy of use. Yes I know we actually could run Windows on the Mac in the Power PC days using an emulator but emulators were much slower than their real hardware counter parts. For those who remember way back at one point Apple even made a DOS card that could be installed in some 68k Macs and was a PC on card and you could run a Mac program to execute programs on your PC on card but I digress. We are pleased to announce that Bordeaux now runs on StormOS and Nexenta systems, over the past couple weeks the StormOS team has successfully completed the first initial port. And work can now be focused on the UI changes that are coming in our next release. In the coming weeks we will be working together to rewrite the Bordeaux UI so its more user friendly and allows the user to configure and manage both supported and unsupported Cellars in a more intuitive manner. The new UI will be included in the upcoming Bordeaux 2.2 release for Linux, Mac OS X, FreeBSD, PC-BSD, OpenSolaris, StormOS, and Nexenta systems. As part of our new license agreement with The Bordeaux Technology group Bordeaux has been ported to StormOS. The full version will be included with the next StormOS release for no charge and packages will be added to the StormOS APT repository. One of the most common reasons given for remaining wedded to Microsoft Windows is the absence of a key Windows program on alternative operating systems. But that needn't be the case when you can run Windows programs without the Windows OS. 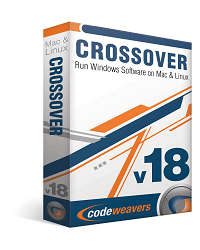 Codeweavers CrossOver Linux 9 (codenamed Snow Mallard) and its Mac brother, CrossOver Mac 9, let you run many popular Windows applications on Linux or Mac OS X. 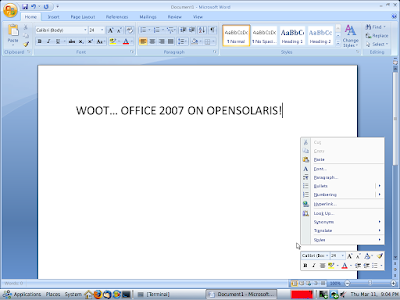 Supported Windows applications include Microsoft Office (from Office 97 to Office 2007), Internet Explorer 6 and 7, Outlook 2002 to 2007, all current versions of Quicken up to 2010 and QuickBooks up to 2004, along with some versions of Photoshop and Photoshop CS. Based on our experience with CrossOver, which goes back more than a decade, we'd say this new version supports about 20% more applications (at a level that most users would find usable) than the last one. Codeweavers CrossOver Linux 9 is based on the open-source Wine project, an implementation of the Windows API on top of the family of Unix/Linux operating system. Wine is a mature project involving almost 17 years of work to get Windows applications to run on Unix and Linux systems. 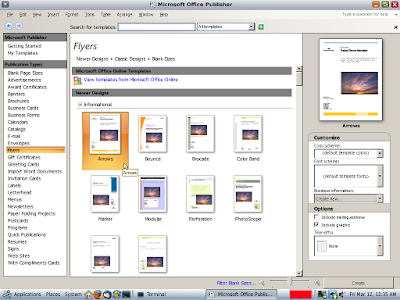 Actually, you don't need Codeweavers CrossOver Linux 9 to run Windows applications on Linux. You can do it with Wine alone, if you know exactly what you're doing. What Codeweavers CrossOver Linux 9 brings to the table is automated installation of Windows applications, and technical support. And in this latest version, the CrossOver interface has been improved so it's easier than ever to install and manage Windows applications. To see how well Codeweavers CrossOver Linux 9 does its job, we tested it on two systems. The first was a Dell Inspiron 530S powered by a 2.2GHz Intel Pentium E2200 dual-core processor with an 800MHz front-side bus. The machine had 4GB of RAM, a 500GB SATA drive and an integrated Intel GMA 3100 graphics chipset. 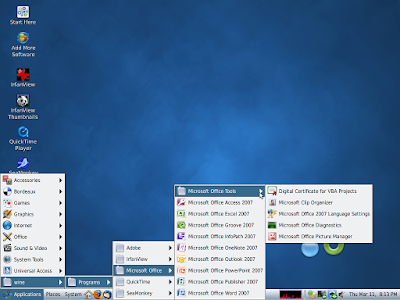 It was running the Debian-based MEPIS 8 desktop Linux distribution. We also tried Codeweavers CrossOver Linux 9 on an older Gateway 503GR with a 3GHz Pentium 4 CPU, 2GB of RAM, an ATI Radeon 250 graphics card and 300GB SATA drive. This machine was running Ubuntu 9.10. 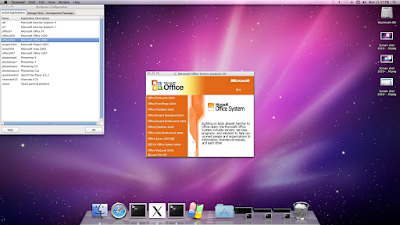 Both systems had more than enough horsepower to run multiple Windows and Linux applications simultaneously. In fact, CodeWeavers claims that any 32-bit system that runs at 200MHz can run CrossOver. Codeweavers CrossOver Linux 9 also requires that your Linux include Glibc 2.3.x or greater and X11R6 3.3 or greater. XFree86 4 with XRender and FreeType support is recommended. 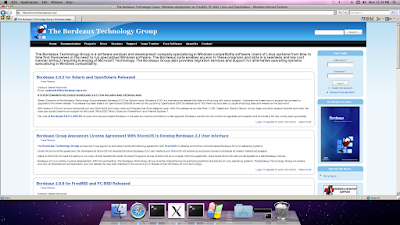 In short, Codeweavers CrossOver Linux 9 will run on any modern Linux distro on almost any IBM-based PC. There are several ways to install Codeweavers CrossOver Linux 9. CodeWeavers recommends that you use its installation shell script, but if you'd rather use your Linux OS's installation program, CrossOver also comes in RPM versions for Red Hat, Fedora and openSUSE; and DEB editions for Debian and the Ubuntu family. They both work just fine. The one problem we found is that there's no upgrade path if you already have an earlier version of CrossOver Linux installed. We had to manually uninstall our older edition of CrossOver before we could put in the new program. Codeweavers CrossOver Linux 9 includes an uninstall option, so that wasn't a problem, but the instructions don't tell you that you'll need to zap your old version before installing the new one. Installing Windows applications is a snap. 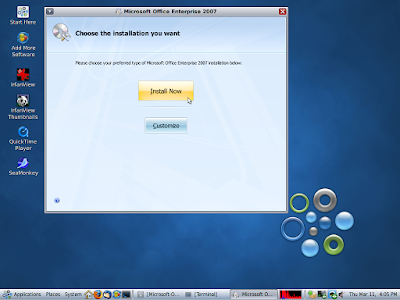 From the CrossOver interface, you can easily choose which Windows applications you want to install from a supplied list of supported applications. You can also install applications that are not officially supported; for example, our favourite HTML editor, NoteTab, also runs well on Codeweavers CrossOver Linux 9, even though it's not on the list of supported applications. In this latest version of Codeweavers CrossOver Linux 9, you also have the option of installing useful Windows components apart from the actual applications. For example, we were able to install the most common Windows fonts, such as Arial and Times Roman, as well as the .NET Framework 3.0 and Visual C++ 6.0 redistributable libraries. For the most part, the Windows applications we installed ran without trouble. 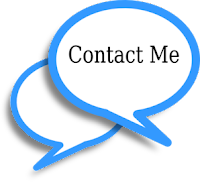 We could work with Word 2003 documents, Excel 2003 spreadsheets, IE 7 and complex Quicken 2009 financial statements quite comfortably. 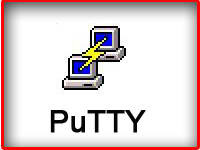 It wasn't perfect, though, as some of the icons appeared blotchy. It was never enough to make a program unusable, but it was enough to make them unattractive. In addition, we would also occasionally need to force a screen refresh when one Windows application's window covered up another. When we'd brought focus to the lower application, the part of it that had been covered wouldn't render properly. After running a command with the new foreground application, however, Codeweavers CrossOver Linux 9's screen refreshed and it reappeared as it should. 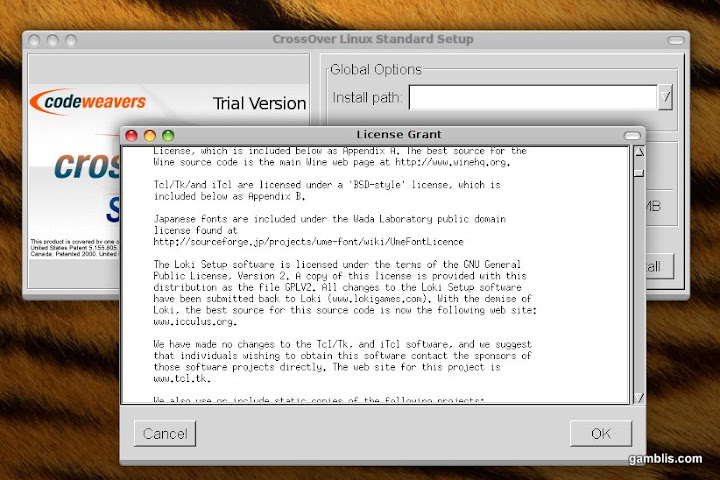 You can download a free 30-day trial version of Codeweavers CrossOver Linux 9. The program costs $39.95. Also available is CrossOver Linux Professional for $69.95, which can be used for multiple users, and additionally comes with CrossOver Games. CrossOver Games includes support for Microsoft's graphics APIs for games, DirectX, up to version 9. With this, many Windows games will run well on Linux. We had no problem blasting monsters in World of Warcraft and Guild Wars. CrossOver Games is also available separately. 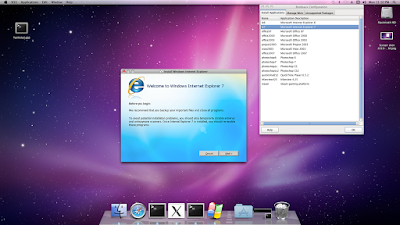 There’s no doubt that Windows is the most widely used operating system in the world, with Mac OS X taking the second step on the podium. But, what about Linux OS? The Linux operating system is not that popular but many people still use it, maybe just out of curiosity or because of the simple interface it has. Whatever may be the reason, Linux is not going to vanish from the operating system market that easily. This thing is for sure, as-long-as there are software packages like CrossOver Linux that offer to extend your Linux OS’s functionality virtually out of its domain. CrossOver Linux allows you to run popular Windows OS application, plug-ins and games; just like they would run in Windows OS. At this week’s Game Developers Conference (GDC) in San Francisco, Icarus Studios announced the Mac beta release of Fallen Earth, a Massively Multiplayer Online (MMO) game. 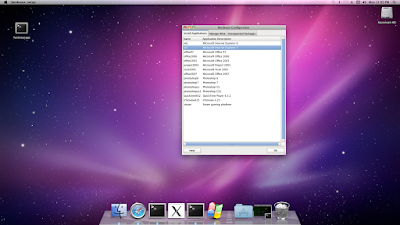 The new Mac beta release – available now – requires an Intel-based Mac running Mac OS X 10.5 or later. Fallen Earth combines First Person Shooter (FPS) and Role Playing Game (RPG) elements in a post-apocalyptic world. Features include classless advancement, a real-time crafting system, a faction system that enables you to ally or rally against six different factions, and a world comprising 70 unique towns with more than 5,500 missions. 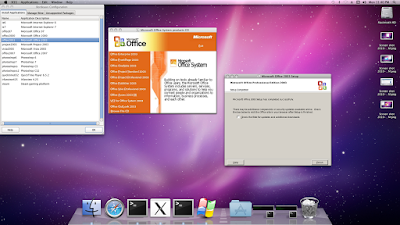 To make Fallen Earth Mac-compatible, Icarus is leveraging Wine, an open source translation layer technology that originally was developed to enable Linux operating systems to run software made for the Windows platform. Wine is also leveraged by Codeweavers for its CrossOver Mac software. Currently CrossOver Linux standard already reached version 9.0. 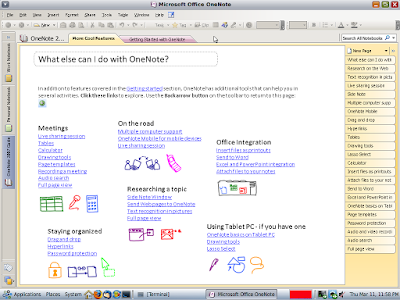 Many improvements including a brand new user interface was applied to this release. Based on the official change log, this CrossOver 9.0 Linux is more applicable to Microsoft Internet Explorer, Microsoft Office. This version is based on Wine version 1.1.34. 1. Download the trial version of CrossOver Linux Standard 9.0.0, or you can buy this software if you want. 2. On the download section, choose the installer type. You can download the installer in .deb, .rpm or .sh extension. In this tutorial I am using the .sh installer file. This installer is more applicable to many Linux distribution. 3. Now its time to install. 4. 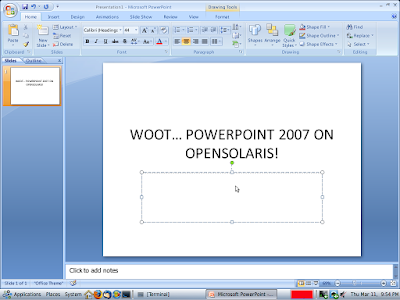 Then the graphical installation wizard will be opened. Press OK to accept the license agreement. To start install the CrossOver Linux Standard, click Begin Install. Then system will install this software. When finished you will be notified. The installation is now finished. You can start using this program via Applications | CrossOver | Install Windows Software. 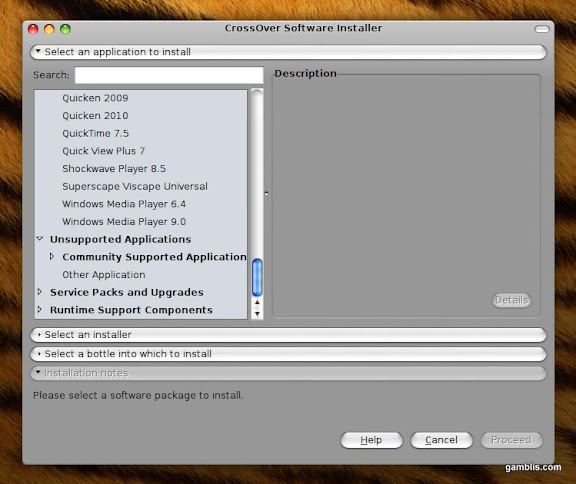 CodeWeavers’ CEO, Jeremy White, announced a few minutes ago the availability of the CrossOver 9.0 application for both Linux and Macintosh operating systems. Dubbed Snow Mallard, the new CrossOver 9.0.0 release has a brand-new user interface for Linux users! 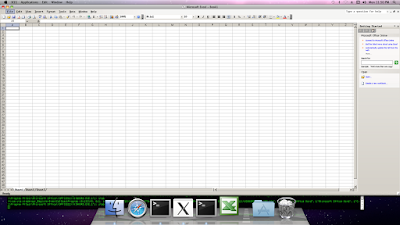 This new GTK2-compatible graphical user interface is a dream come true, expected by all CrossOver Linux users (take a look at the image for details). 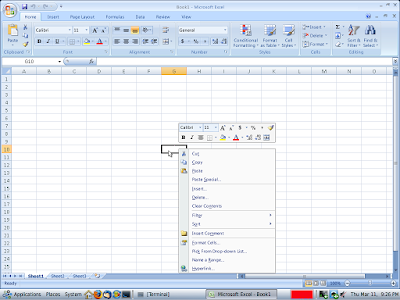 Moreover, CrossOver 9.0.0 brings various improvements to Microsoft applications, such as Internet Explorer 7 or the Microsoft Office suite. CodeWeavers distributes the CrossOver 9.0.0 binaries for the Ubuntu, Debian, Red Hat, Fedora, Mandriva and openSUSE operating systems, as well as an universal installer for other Linux flavors.